Vitamin supplement brand Berocca will unveil its brand-first TV programme, ‘Extreme Everest’ with Ant Middleton, this Sunday in partnership with Channel 4 to launch its new ‘No Day Too Tough’ campaign. Developed by MediaCom UK, and devised and produced by Parable, the campaign will also feature relevant product placement, a spin-off content series, a cutting-edge VR film of Ant’s Everest climb and PR and social media activation; alongside the traditional TV spot. The campaign message was based on consumer insight showing that tiredness and low energy has become an epidemic, with 23% of Brits saying they are regularly tired. MediaCom UK Partner of Branded Entertainment Paul Tremain said: “The campaign is a great example of audience-first branded entertainment and represents a really valuable, exciting collaboration between our client Berocca, Channel 4, Parable and Ant. While most people have heard of Berocca, many overlook its role outside of the cold and flu season – Channel 4 gave us the opportunity to reach a large number of consumers to launch the new ‘No Day Too Tough’ message and demonstrate the brand’s benefits for tired audiences. “To climb Everest is the ultimate physical and mental test of strength, energy and endurance,” commented Vicky Keenan, Berocca Head of Marketing. “This was the perfect partnership to launch ‘No Day Too Tough’ and we are delighted with all the content that viewers can access so that they too experience a little bit of Everest. “It’s been a brilliant and ground-breaking project to have been part of from beginning to end. 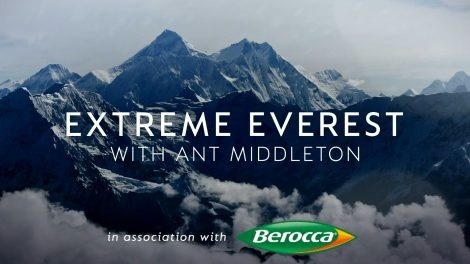 This is a big statement to the industry that brand partners, broadcasters and creators can work effectively together to bring prime-time TV and multi-channel content to life,” said David Wise, Co-CEO Parable, Executive Producer ‘Extreme Everest’ with Ant Middleton, in association with Berocca.